In February Gyulchekhra Bobokulova has been detained near Oktyabrskoye Pole Metro Station on suspicion of murdering the child. 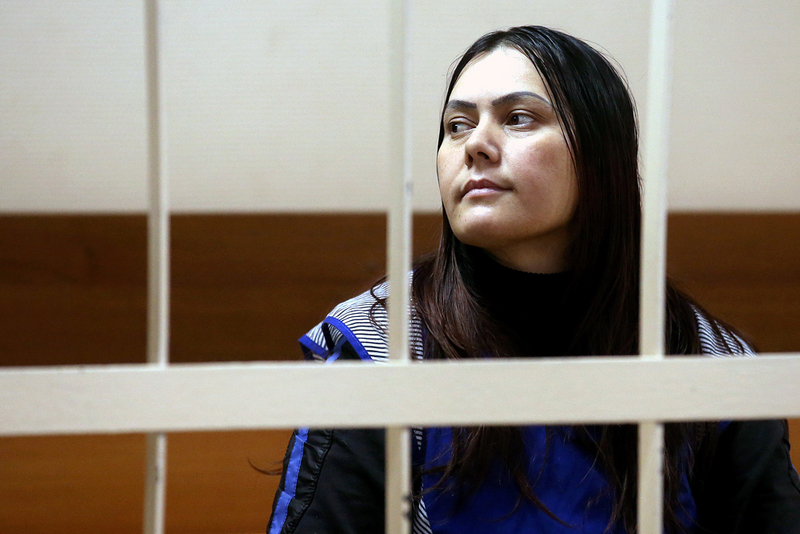 Moscow’s Khoroshevsky District Court has released citizen of Uzbekistan, Gyulchekhra Bobokulova, who killed a four-year-old girl in Moscow from criminal prosecution and ruled that she should be sent for compulsory treatment, a TASS correspondent reports from the court room on Nov. 24. "The court ruled to release Bobokulova from criminal prosecution and subject her to compulsory medical measures," the judge said. Why did a Moscow nanny behead the girl she was looking after? In accordance with the court ruling, she will be sent to an intensive-supervision psychiatric hospital. Bobokulova was arrested in Moscow on suspicion of an atrocious murder of a four-year-old girl. According to investigators, on Feb. 29 "after the parents (of the killed girl) and their elder child left the apartment" the 38-year-old nanny "for unknown reasons committed the murder, set the apartment on fire and escaped." On the same day police officers detained her near the Oktyabrskoye Pole subway station, where she was walking carrying the head of the killed child and threatening others with organizing an explosion.